Create layered effects, backgrounds or bold images on journal pages, mixed media or paper craft projects with Dylusions Silhouettes. Stencil and mask to create even more designs with positive and negative images. Use in combination with Dylusions Stencils and Stamps. Colourise and doodle with Dylusions Paint, Ink Sprays, Shimmer Sprays, and Paint Pens. 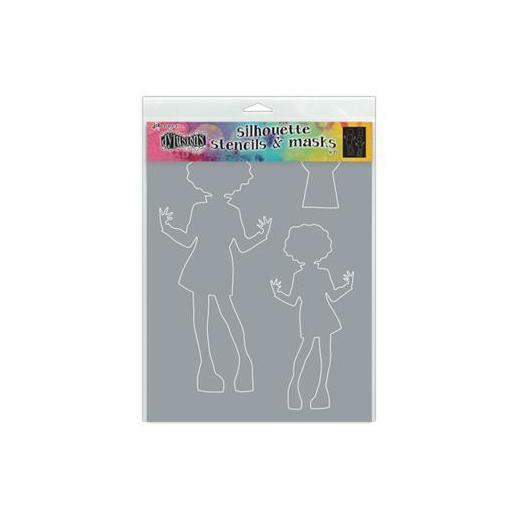 Silhouette Stencils measure 228mm (9”) x 305mm (12”).